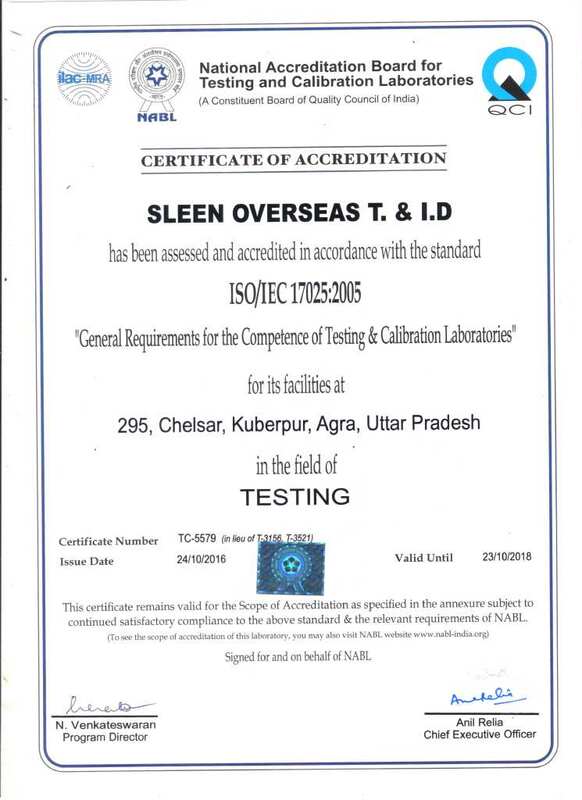 SLEEN OVERSEAS T.& I. D.
Sleen Overseas T. & I. D.
We would like to introduce us as Sleen which is a Testing, Inspection and Audit (Social, Security & Technical) Company accredited for ISO 17025 (NABL, ACCAB) approved from PFI-Germany, BSI-UK, in footwear, leather & garments. 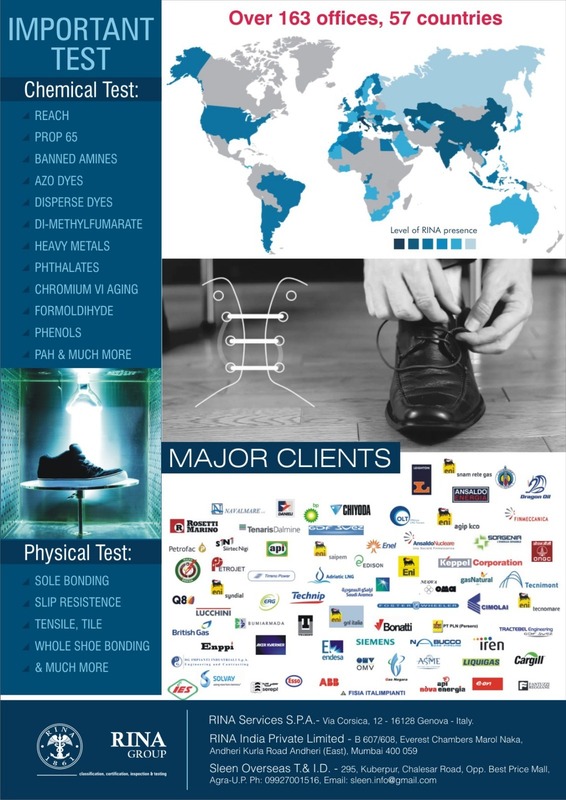 We are based in Agra and have collaboration with RINA – Italy which was founded in 1861 and now have crossed turnover of 300 Million Euros & having a strong strength of 2100 employees and having strong presence of over 163 offices in 57 countries worldwide. We are delivering high quality services to help clients meet the growing challenges of quality, safety, environmental protection and social responsibility and for better service and results. At Sleen Test House, staffed by knowledgeable and experienced personnel, advance & High-Tech Equipment enable you to reduce risks, shorten time to market and test the quality, safety and performance of your products against relevant health, safety and regulatory standards. 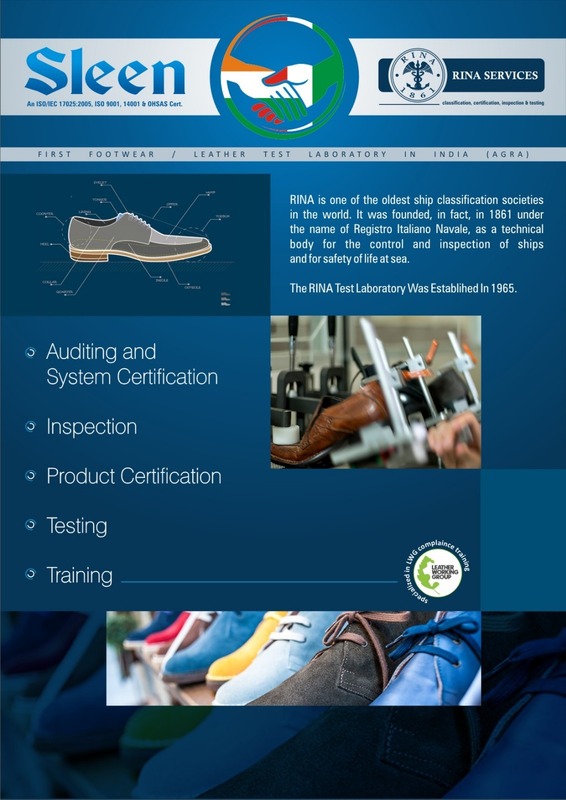 We have many years of experience In Auditing, Assurance & Testing for Footwear & Leather both Physical & Chemical Testing. Initially, we would like to hold a meeting to learn more about your company and to understand your issues and your expectations. Following this initial meeting we will begin our business with more understanding. Laboratory: 295, Kuberpur, Chalesar Road, Opp.